The diverging seated row is among the most suitable machines if your aim is to strengthen the muscles in your upper back area. The middle and lower trapezius and your rhomboids will benefit as a result of the diverging arm movement which has a natural path of motion. The dual-position hand grips allow you to practice a wide range of exercises. You can also track your progress using the electronic counter which displays repetitions, exercise time and rest time. 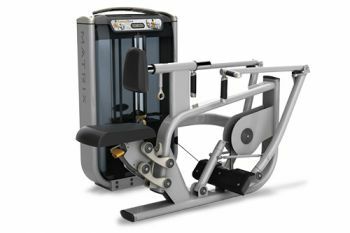 Users of all sizes can be accommodated on this machine thanks to the adjustable chest pad.